"Nice parents... still living, are they?" Added an unpublished Forgotten Realms: Demon Stone interview to the list of articles. PC Games Store: Added the Neverwinter Nights 2 box shot, product description, and updated the Amazon links. Tips, Tricks & Hints subsection: New additions: 1. Updates: 1. Mods subsection: New additions: 2. Updates: 1. Tips, Tricks & Hints subsection: Updates: 1. Portraits subsection: New additions: 2. Subsection #1: New additions: 1. Updates: 1. Editors, Hacks, Trainers & Fixes subsection: Updates: 1. Mods subsection: New additions: 1. Circle of Eight Tools & Mods subsection: New additions: 1. Updates: 2. Tips, Tricks & Hints subsection: New additions: 2. Updates: 1. Editors, Hacks & Tweaks subsection: New additions: 5. Portraits subsection: New additions: 1. Subsection #1: New additions: 1. Subsection #7: New additions: 3. Miscellanea subsection: New additions: 4. Soundsets & Portraits subsection: 25 new additions. Official Patches & Miscellanea subsection: 1 new addition. Tips, Tricks & Hints subsection: 1 new addition, 1 listing update. Soundsets subsection: 3 new additions. Subsection #1: 2 new additions. Subsection #2: 1 listing update. Subsection #6: Re-populated and split in two (for male & female NPCs); over 35 new additions. Tips, Tricks & Hints subsection: 1 new addition. Mods & Customizations subsection: 1 new addition. Soundsets subsection: 1 new addition. Mods subsection: 1 new addition. Walkthroughs & Guides subsection: 1 new addition. Editors, Hacks, Mods & Portraits subsection: 1 new addition. Circle of Eight Tools & Mods subsection: 1 extensive listing update. Tips, Tricks & Hints subsection: 1 listing update. Walkthroughs & Guides subsection: 1 listing update. Games Store: The store has been remade from scratch; a couple of new games have been added in both subsections, descriptions of all the games have been compiled, links to Amazon.ca added and all other links checked and updated where necessary. Features & FAQ subsection: Recently added feature added, FAQ updated. Index: 1 new addition, 2 updates. Tips, Tricks & Hints subsection: 2 new additions. Mods subsection: 1 new addition with multiple files. Tips, Tricks & Hints subsection: 1 new addition, 2 updates. Portraits subsection: 1 new addition. Subsection #1: 1 new addition, 1 update. Subsection #3: 3 new additions with multiple files. Editors, Hacks, Trainers & Fixes subsection: 1 update. Mods subsection: 5 new additions. Tips, Tricks & Hints subsection: 1 update. Circle of Eight Tools & Mods subsection: 3 new additions, 5 updates. Official Patches & Miscellanea subsection: 1 update. After a thorough code clean-up our Fantasy Books store pages will now load faster, and support Amazon.ca to boot. All books listed can now also be bought from Amazon.ca via Sorcerer's Place in order to help support the site. Forgotten Realms Books subsection: Resurrection (R.A. Salvatore's War of the Spider Queen) paperback added. D&D PnP Books subsection: Red Hand of Doom (Official D&D Adventures) added; War Drums Booster Pack (Dungeons & Dragons Miniatures) added; Player's Guide to Eberron (Eberron Material) added; Power of Faerun (Forgotten Realms Material) added; Races of the Dragon (Guidebooks, Handbooks, Sourcebooks) added; d20 Future Tech (d20 Series) added; Tome of Magic: Pact, Shadow, and Truename Magic (Various Accessories) added. Terry Pratchett Books subsection: Going Postal (Discworld Series) paperback added; The Art of Discworld (Companions, Guides, Maps and Related Books) paperback added. Piers Anthony Books subsection: Currant Events paperback, Pet Peeve (Xanth Series) added. Our SF/Fantasy Movies store now completely supports Amazon.ca. All DVDs listed can now also be bought from Amazon.ca via Sorcerer's Place in order to help support the site. Editors, Hacks & Custom Characters subsection: Boards O' Magick Item Pack updated, Arcane-Divine Spell Pack updated. Editors, Hacks & Custom Characters subsection: MPIWD2 editor updated. Circle of Eight Tools & Mods subsection: ToEE World Builder binary and source updated. Neverwinter Nights 2 subsection added. To start off we have an introduction to Neverwinter Nights 2 by yours truly (this is going to be updated on a regular basis), a map, some renders, a bunch of screenshots, some concept art, the first trailer and the press release. Expect frequent updates to this section from now on. Dragon Age subsection added. To start off we have a short teaser introduction, a couple of wallpapers, one piece of concept art and a few screenshots. More to come soon. It's been a while since my last call for help... A reminder how you can help Sorcerer's Place is in order, since the donations I rely on to keep this site running have been scarce lately. Please check out this detailed list for all the ways you can help support Sorcerer's Place. I hope you will take the time to read through it and see if you are willing to do something to help. My thanks go to all who have donated to SP in the past, or bought anything through the Sorcerer's Place stores, or helped SP in any other way. If it weren't for you folks, SP probably wouldn't be around any more. Games Store - PC subsection: Dungeons & Dragons Online: Stormreach Limited Edition link added. Forgotten Realms Lore subsection: Forgotten Realms Calendar Tool added. Walkthroughs & Guides subsection: FittsWorld's Baldur's Gate "Executive Summary" Walkthrough added. Tips, Tricks & Hints subsection: BG1 NPC Locations List added, Baldur's Gate Adventurer's Companion Guide updated. Editors, Hacks & Custom Characters subsection: Filipe_FR’s All NPCs at the Beginning mod link added. Editors, Hacks & Custom Characters subsection: TormentHack updated with documentation, G3 Planescape: Torment Tweak Pack link added. Walkthroughs & Guides subsection: Interplay's Throne of Bhaal Walkthrough downloadable version added. Tips, Tricks & Hints subsection: BG2: ToB (Male PC) Romances Guide updated, Baldur's Gate 2: Frequently Asked Questions link added. Editors, Hacks & Custom Characters subsection: Boards O' Magick Item Pack updated, Imoen the Conjurer added, 1 soundset added, 1 mod link added. 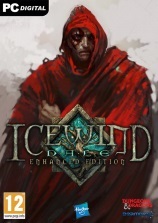 Walkthroughs & Guides subsection: Icewind Gate II Walkthrough added. Walkthroughs & Guides subsection: Dragonshard Product Specific Issues link added. Official Patches & Miscellanea subsection: Dragonshard Official International Patches link updated, Dragonshard font added. The old Editors, Hacks & Tweaks subsection has now been split into two separate subsections: Editors, Hacks, Mods & Portraits and Circle of Eight Tools & Mods. Thanks to Agetian's help with providing the descriptions for the Co8 stuff that hasn't been listed before, SP now mirrors and lists all of the finished Co8 tools and mods. Fantasy Movies subsection: Gladiator - Extended Special Edition, Indiana Jones - The Complete DVD Movie Collection, Pirates of the Caribbean - The Curse of the Black Pearl (Special Edition), The Lord of the Rings: The Fellowship of the Ring (Platinum Series Special Extended Edition Collector's Gift Set), The Lord of the Rings: The Two Towers (Platinum Series Special Extended Edition Collector's Gift Set), The Lord of the Rings: The Return of the King (Platinum Series Special Extended Edition Collector's Gift Set) added. Science Fiction Movies subsection: Star Wars - Episode I, The Phantom Menace, Star Wars - Episode II, Attack of the Clones, Star Wars - Episode III, Revenge of the Sith added. Cartoons subsection: Family Guy, Vol. 1 (Seasons 1 & 2), Family Guy, Vol. 2 (Season 3), Family Guy, Vol. 3 (Season 4 - 13 Episodes), Family Guy Vol. 1-3 (Seasons 1-4), Family Guy Presents Stewie Griffin: The Untold Story, Futurama Seasons 1-4 Complete Box Set added. Reviews & Information subsection: Discworld Limited Edition Double DVD and Book Box Set review updated. SP FAQ subsection: Several updates and additions to the FAQ. Another new subsection at Sorcerer's Place opens its doors. Despite TeamBG's demise (and maybe in part due to it), modding of the Infinity Engine games has become one of the defining and pervading characteristics of the communities that have sprung up around the games made with the Infinity Engine (Baldur's Gate and Icewind Dale series, as well as Planescape: Torment). It is also a major factor in keeping many people playing IE games to date. Besides listing a host of mods made for the IE games covered on SP, it was high time for me to put together a central info point where people can find a mirror of the legacy modding tools & utilities made by TeamBG (some of them are actually required to install our hosted mods made with the TeamBG tools), as well as links to and downloads of other newer tools, miscellaneous utilities and information. Various IE modding utilities that have been scattered throughout the game subsections on SP thus far have now all been moved to this new section, so they should be easier to find and reference. I have also added about 20 downloads and links to get us started. The section is by no means complete yet, as I will continue working on it and adding more relevant downloads, information and links. However, since I had to stop somewhere (otherwise this would have taken entirely too long to get off the ground), I hope that you will find what is currently available helpful and of interest. Editors, Hacks & Custom Characters subsection: Teleport Spell added, Slightly Improved Ilyich added, 4 soundsets added. Walkthroughs & Guides subsection: 1 walkthrough link added. Editors, Hacks & Custom Characters subsection: MPIWD2 editor added. Tips, Tricks & Hints subsection: Hordes of the Underdark Ranger Guide by DarthMuffin updated. Editors, Hacks & Tweaks subsection: Orion's ToEE Complete Fixes updated. Games Store - PC subsection: Dungeons & Dragons Online: Stormreach Amazon.co.uk and Amazon.de links added. David Eddings Books subsection: The Elder Gods, The Treasured One, Crystal Gorge, The Younger Gods [The Dreamers] added. Terry Goodkind Books subsection: Chainfire paperback, Phantom, [Sword of Truth] added. This is a brand new section at Sorcerer's Place, and one I hope you will all enjoy. It aims to complement our existing fantasy books and games stores, so that fantasy fans have a good starting selection of games, books and DVDs right here at Sorcerer's Place. Any purchases made through the links to these items on SP directly support the site, so please keep SP in mind when you're going shopping online. The SF/Fantasy DVDs section will expand over time, as our Fantasy Books section has, so what is currently listed is merely the beginning. The current layout is as follows: Index (explains the ordering process; mostly similar stuff as with the fantasy books section), DVD Players (in case you don't have a DVD player yet), Fantasy Movies (starting mostly with some popular recent releases and Dungeons & Dragons and The Lord of the Rings titles), Fantasy Series (Blackadder and Lost), Science Fiction Movies (Serenity, Star Wars, The Hitchhiker's Guide to the Galaxy), Science Fiction Series (Babylon 5, Crusade, Firefly) and Cartoons (Discworld, Dungeons & Dragons, Spirited Away). And yes, I am taking some liberties here with also listing titles which aren't strictly fantasy in the fantasy categories, but this is intentional and should make sense most of the time. This new section now also contains the entire "Fantasy Movies" subsection previously available in our Fantasy Worlds section, as well as any movie-centred articles and reviews previously available in other sections. You can now find it all under the "Reviews & Information" heading in the new SF/Fantasy DVDs section. Editors, Hacks & Custom Characters subsection: Boards O' Magick Item Pack updated. Walkthroughs & Guides subsection: Dragonshard Game Guide link added. Games Store - PC subsection: Dungeons & Dragons Online: Stormreach added. Helping Sorcerer's Place: Page updated in several places, 1 new support option added. Sorcerer's Place Help Wanted: We're looking for a good artist. Steven Erikson Books subsection opened: Gardens of the Moon, Deadhouse Gates, Memories of Ice, House of Chains, Midnight Tides, The Bonehunters, Reaper's Gale (The Malazan Book of the Fallen) added; Blood Follows: A Tale of Bauchelain and Korbal Broach, The Healthy Dead: A Tale of Bauchelain and Korbal Broach (The Malazan Book of the Fallen Novellas) added. Robin Hobb Books subsection opened: Assassin's Apprentice, Royal Assassin, Assassin's Quest (The Farseer Trilogy) added; Ship of Magic, The Mad Ship, Ship of Destiny (The Liveship Traders Trilogy) added; Fool's Errand, Golden Fool, Fool's Fate (The Tawny Man Trilogy) added; Shaman's Crossing (The Soldier Son Trilogy) added. Philip Pullman Books subsection opened: Northern Lights, The Subtle Knife, The Amber Spyglass, His Dark Materials Trilogy Boxed Set, Lyra's Oxford (His Dark Materials) added. Christopher Paolini Books subsection opened: Eragon, Eldest, Eragon & Eldest Boxed Set (Inheritance) added. Maps subsection: Baldur Gate Sewers Map added. TeamBG subsection: Faster Baldur's Gate (Firewalker Lite) updated + alternative version added. Walkthroughs & Guides subsection: 1 walkthrough link fixed. Editors, Hacks & Custom Characters subsection: Restoration Pack combined into single archive & uploaded locally. Walkthroughs & Guides subsection: 1 walkthrough link fixed, several descriptions updated. Tips, Tricks & Hints subsection: Ranger/Cleric Solo Guide added. Editors, Hacks & Custom Characters subsection: Arcane-Divine Spell Pack added, Twist Pack added, 1 portrait pack added, 1 soundset added, Futurama & Family Guy Voice Packs combined into single archives & uploaded locally. Editors, Hacks & Tweaks subsection: Spell Icons: Colorized added, Baldur's Gate 2 Spell Icons Override added, Access to All Voice Sets (SoU and HotU) added, Ultimate Icewind Dale Portraits added. Subsection #3 (Scripting Info): 1 new addition. Walkthroughs & Guides subsection: Dragonshard cheats added. Miscellanea subsection: Dragonshard Official International Patches added. Games Store - PC subsection: Tales of the Sword Coast re-added. Advertising subsection: Advertising rates lowered drastically yet again. Sign-up subsection: Ever wanted to get an SPS account for a friend, maybe even anonymously? Now you can! Check the updated sign-up page for details. Forgotten Realms Books subsection: Homeland Comic (The Dark Elf Trilogy / The Legend of Drizzt) added; The Halfling's Gem Deluxe Hardcover (The Icewind Dale Trilogy / The Legend of Drizzt) added; Paths of Darkness Collector's Edition (Paths of Darkness) paperback edition added; Midnight's Mask (Erevis Cale Trilogy) added; Whisper of Waves (The Watercourse Trilogy) added; Queen of the Depths (The Priests) added; Ghostwalker (The Fighters) added; The Titan of Twilight (The Twilight Giants) added; The City of Splendors: A Waterdeep Novel (The Cities) added. Planescape Books subsection: Blood Hostages, Abyssal Warriors, Planar Powers (Blood Wars Trilogy) added; Torment, Pages of Pain (Various Planescape Novels) added. Dragonlance Books subsection: The Annotated Chronicles (Chronicles Trilogy) paperback edition added; The Cataclysm, The War of the Lance (Tales II Trilogy) new paperbacks added; Sanctuary (Elven Exiles) added; Dragon Knight, Dragon Spell (The New Adventures) added; Wizard's Curse (The New Adventures - Trinistyr Trilogy) added; Crown of Thieves (The New Adventures - Elidor Trilogy) added. D&D PnP Books subsection: Special Edition Dungeon Master's Guide 3.5e, Spell Compendium (Core Products) added; Magic of Eberron (Eberron Material) added; Champions of Valor (Forgotten Realms Material) added; Creature Collection Revised, Mystic Secrets: The Lore of Word and Rune, Legacy of the Dragons: A d20 Bestiary, Arcana Evolved: A Variant Player's Handbook, Transcendence: Arcana Evolved Player's Companion, Ruins of Intrigue: Arcana Evolved Campaign Sourcebook, Arcana Evolved: Spell Treasury, The Book of Iron Might: A Combat Source Book, The Dragons' Return: Tales From The Land of The Diamond Throne, Children of the Rune: Tales From The Land of The Diamond Throne (Sword & Sorcery Studios Accessories) added; The Shackled City Campaign, Heroes of Horror (Various Accessories) added. Terry Pratchett Books subsection: Terry Pratchett's Discworld Collector's Edition Calendar 2006, The Pratchett Portfolio, The Science of Discworld II: The Globe and The Science of Discworld III: Darwin's Watch Amazon.com links (Companions, Guides, Maps and Related Books) added; Only You Can Save Mankind, Johnny and the Dead, Johnny and the Bomb, The Johnny Maxwell Slipcase Boxed Set (The Johnny Maxwell Trilogy) added. J. R. R. Tolkien Books subsection: The Maps of Tolkien's Middle-Earth, The Complete Tolkien Companion new paperback (Companions, Guides, Art) added. J. K. Rowling Books subsection: Harry Potter Paperback Boxed Set [Books 1-5] (Harry Potter Series) added. C. S. Lewis Books subsection: The Magician's Nephew, The Lion, the Witch and the Wardrobe, The Horse and his Boy, Prince Caspian, The Voyage of the Dawn Treader, The Silver Chair, The Last Battle new US paperbacks, The Chronicles of Narnia Box Set [Adult] (The Chronicles of Narnia) added. Dungeons & Dragons Books subsection: Key to the Griffon's Lair, Curse of the Lost Grove (Knights of the Silver Dragon) added. Eberron Books subsection: The Binding Stone (The Dragon Below) added. Miscellaneous Books subsection: The Wood Boy - The Burning Man (Various Fantasy Books) added. A number of new sample chapters have been added in various book subsections. Tips, Tricks & Hints subsection: Felinoid's BG1 NPC Proficiencies List updated. Editors, Hacks & Custom Characters subsection: Felinoid BG1 NPC Remix Pack added, Diablo 1 Voice Packs updated. TeamBG subsection: Dark Side of the Sword Coast download locations expanded. Editors, Hacks & Custom Characters subsection: Silverdawn Portrait added, BG2 & ToB Small Portraits updated, Quest Pack link added, download locations of all larger mods expanded, many links fixed. TeamBG subsection: Download locations of all larger mods expanded. Miscellanea subsection: Heart of Winter: Trials of the Luremaster download locations expanded. Editors, Hacks & Custom Characters subsection: Level 40 Extended Tables added. Editors, Hacks & Tweaks subsection: Circle of Eight Mod Pack v4 added, ToEE Front-End 3 Pro Series updated, Orion's ToEE Complete Fixes updated. It's been a while since my last call for help... A reminder how you can help Sorcerer's Place is in order, since the donations I rely on to keep this site running have been very scarce lately. Please check out this detailed list for all the ways you can help support Sorcerer's Place. I hope you will take the time to read through it and see if you are willing to do something to help. Games Store - PC subsection: Forgotten Realms: Demon Stone Jewel Case DVD added. Staff List subsection: Member statuses updated; Eldular & Sir Belisarius added to the list of active members. Forgotten Realms Books subsection: Streams of Silver Deluxe Hardcover (The Icewind Dale Trilogy / The Legend of Drizzt) added; Servant of the Shard, Promise of the Witch King (The Sellswords) added; Starlight & Shadows Gift Set (Starlight & Shadows) added; Farthest Reach (The Last Mythal) added; Maiden of Pain (The Priests) added; Master of Chains (The Fighters) added; The Emerald Scepter (The Scions of Arrabar) added; The Giant Among Us (The Twilight Giants) added. Dragonlance Books subsection: Love and War (Tales I Trilogy) new paperback added; The Reign of Istar (Tales II Trilogy) new paperback added; The Elven Nations Trilogy Gift Set (The Elven Nations Trilogy) added. D&D PnP Books subsection: Dungeon Magazine (Core Products) added; Fane of the Drow, Hellspike Prison (Fantastic Locations Series) added; Deluxe Eberron Dungeon Master's Screen, Deluxe Eberron Player Character Sheets, Explorer's Handbook (Eberron Material) added; City of Splendors: Waterdeep, Sons of Gruumsh (Forgotten Realms Material) added; d20 Weapons Locker, d20 Menace Manual, d20 Apocalypse, d20 Cyberscape (d20 Series) added; Stormwrack: Mastering the Perils of Wind and Wave, Magic of Incarnum, Weapons of Legacy: A Magic Series Supplement (Various Accessories) added. Robert Jordan Books subsection: Knife of Dreams (Wheel of Time Series) added. Dungeons & Dragons Books subsection: The Hidden Dragon, The Silver Spell (Knights of the Silver Dragon) added. Eberron Books subsection: The Orb of Xoriat (The War-Torn) added. TeamBG subsection: Faster Baldur's Gate (Firewalker Lite) added. Editors, Hacks & Custom Characters subsection: Boards O' Magick Item Pack added. Editors, Hacks & Custom Characters subsection: Ozzy Osbourne Soundset added. Tips, Tricks & Hints subsection: 3 new additions; Neverwinter Nights, SoU & HotU Item List updated. Editors, Hacks & Tweaks subsection: 4 new additions.